In my last posting I was talking about memorising poetry when we were in school. It reminded me of the Sunday School anniversary at Park Terrace Methodist Church. This was a very important occasion and a lot of effort was put into it by the staff and the children of the Sunday school. For about two months we were expected to attend a practice every Wednesday evening at the church to practise the hymns and rehearse the items we were going to perform at the anniversary; some sang solos and some recited poems. Horace Webb, who was the conductor of the church choir, also conducted the rehearsals. He lived at the bottom of Bridge Street just around the corner from the church. 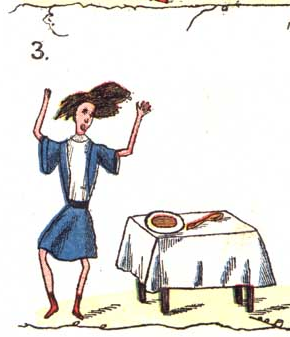 We always had a small booklet published by Ernest Nichol’s company. I assume it was still being run by someone else at that time as Ernest Nichol died in 1928. During his lifetime he wrote about 130 hymns and the music. 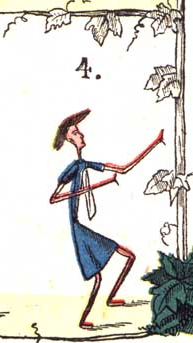 On the outside of the booklets it proclaimed that the music was written by Ernest Nichol and the words by Colin Sterne. We were told that they were the same person, Colin Sterne being an anagram of Ernest Nichol. One of my favourite hymns of his was “We’ve a story to tell to the nations”. It had plenty of “go” and we all loved singing it. The Sunday before the anniversary, normal Sunday School was abandoned in favour of the full rehearsal. The great event took place the following week when we would have special preachers and there would be services in the morning, afternoon and evening with a packed church full of church members, friends and parents. When I studied art in college, I also studied calligraphy so it is unsurprising that I made a calligraphic design of Kipling’s poem which now hangs on my study wall. I also wrote my own parody of it for someone passing their driving test. I don’t want to take up too much space by printing the whole poem. My son was the first to receive a copy when he passed his driving test many years ago. As I wished to incorporate his name in the poem it meant making an amendment in the last four lines. Many other friends have received copies over the years. It’s amazing how influential in my life has been Park Terrace Sunday School all those years ago. Incidentally, if anyone would like a copy of my parody to send to someone who has passed their driving test, just email me and I’ll include a copy in my reply. If a lot of visitors want a copy I’ll be justified in printing a full copy on this blog. My post “Murder Most Foul” on this blog has been read by 938 visitors which shows a considerable interest in the mystery of who killed Dripping Lewis, and why he was killed. 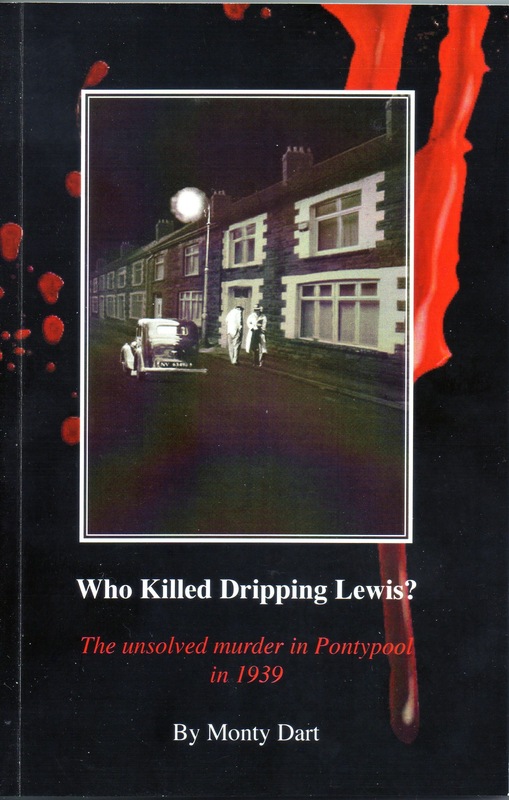 Monty Dart’s limited edition book “Who Killed Dripping Lewis?” is now out and on sale. 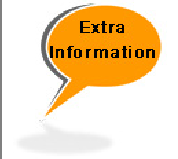 The author is an archivist and researcher who works for HTV, BBC Wales and BBC radio on local subjects. She has written two other books. William Alfred Lewis, a quiet unassuming bachelor aged 59 was found battered to death in his bed in May 1939. Scotland Yard police were sent to Pontypool, a small Welsh town in Monmouthshire, South Wales to help solve the mystery of Lewis’s murder. Nicknamed “Dripping Lewis” the victim was a wealthy local property owner, regular in his habits, everyone locally knew when he was on his rent rounds. It is also on sale at Pontypool Museum. I followed this up with a visit to the Frith website and saw a message by Sarah Vann, together with a photo of George Street, Pontypool. She said her great grandfather, Frederick Harvey, was the beerhouse keeper and that her grandfather, Arthur James Harvey, was born in the Swan. I wrote to her via the Frith site to point out that the photo was of the wrong George Street. 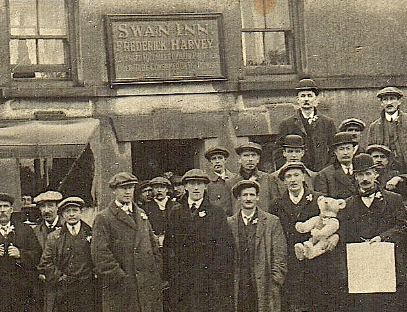 The Swan was in George Street, Pontnewynydd. My grandparents and my father lived in the same street many years ago. selected this section showing the sign above the door. You can clearly see the name of the licensee “Frederick Harvey”. I wonder what is significant about the teddy bear. 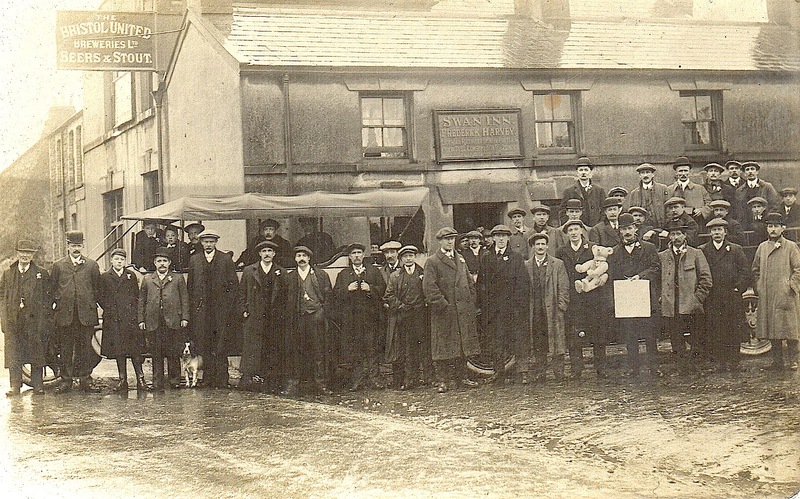 I don’t recall the name of this enquirer but, from all the foregoing, it seems that this is definitely a photograph of the Swan Inn, George Street, Pontnewynydd. I hope this satisfies the enquiries of Andrew, Sarah and my unremembered enquirer. It seems as complete a picture as we are likely to get unless any visitors who lived in Freehold Land during the 1930s and 1940s have anything more to add or any further photos. At a social gathering at my church this week we were given a quiz. One question was about the introduction of decimal currency and it suddenly occurred to me that no one under the age of 50 would know much about it; that must mean over half the population. Bearing in mind that many elderly folk don’t have a computer and access to the internet I think it would be a fair assumption to say that approximately two-thirds of the visitors to this blog would have no personal experience of conditions during the 1930s and 1940s. I’ve therefore decided to publish a series of posts on the “Then and Now” theme, comparing Pontypool life in the 1930s and 1940s with life today. If any visitors have any queries about this or if anyone has anything to add from their own memories, please feel free to make a comment or email me. I know that World War II is in the syllabus of many schools today so this information might be of use to any visitors who are teachers. From conversations I’ve had with my grand-children, I gather that, in schools today, children are not required to learn much poetry by heart. When I was at Town School we had to learn a good many poems by writers like Wordsworth and Masefield and from time to time we had to chant them in class. As it was a Church school we also had to learn the Church of England Catechism and the Ten Commandments. This gave us an interest in poetry generally and I often liked reading poems which I found in books, especially if there was a comic element in them. I have written in previous posts about the boys’ literature we loved to read in magazines like the Wizard, Hotspur and Adventure. I suppose I was fortunate in having at home a large book-case full of all sorts of books which my father had collected. I well remember one set of large red encyclopaedias – 12 volumes in all. There were many items in them to interest children including some poems and I spent many hours browsing through them. I used to like reading the limericks by Edward Lear which were illustrated. Another poem which I often read was “The Story of Augustus” by Heinrich Hoffmann. He was a German psychiatrist who was also an author. 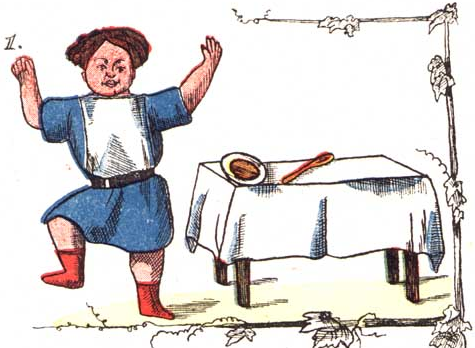 He published a book called “Struwwelpeter” full of illustrated cautionary tales informing children what might happen to them if they misbehaved, told lies or in this case, didn’t eat their soup. The English translation below was publlshed in 1848. The plump and hearty, healthy boy. And never let his soup get cold. 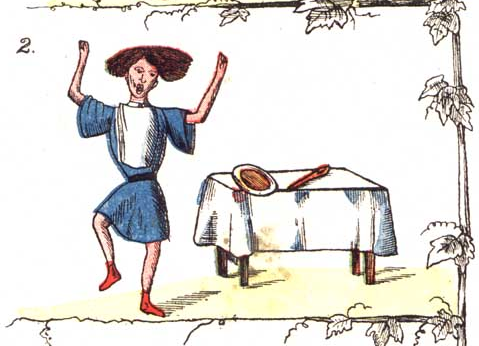 He screamed out–“Take the soup away! Quite lank and lean Augustus grows. The third day comes; O what a sin! To make himself so pale and thin. Look at him, now the fourth day’s come! And on the fifth day, he was—dead!